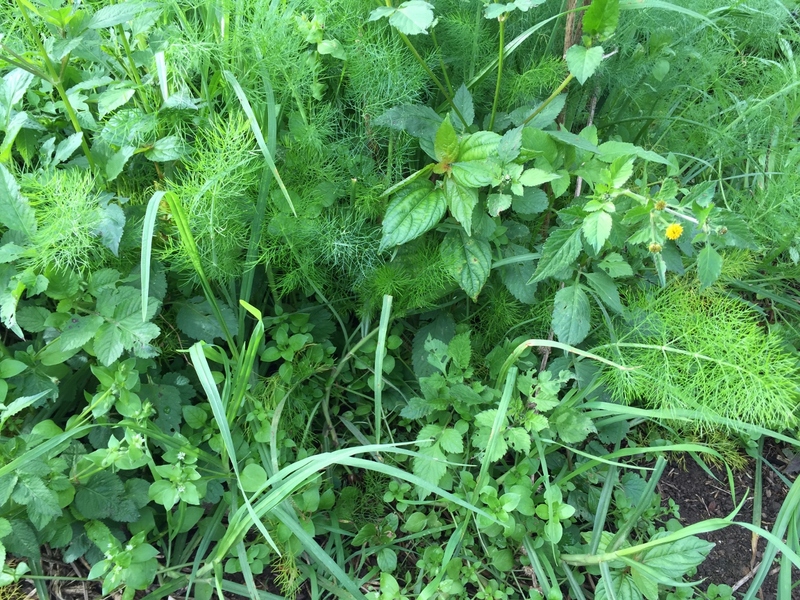 I have to admit that my general attitude is … “all weeds must die”, but yesterday my attitude softened slightly, when I realised that I don’t have to grovel around on my hands and knees pulling them all out and composting them – I can actually eat some! Let me explain … I spent the day with the lovely couple Damien and Laura of Chamomile Naturopathy a Bellingen based natural healthcare business. In addition to offering remedial massage, blending herbal teas and practising naturopathic medicine, they run herbally focused courses. 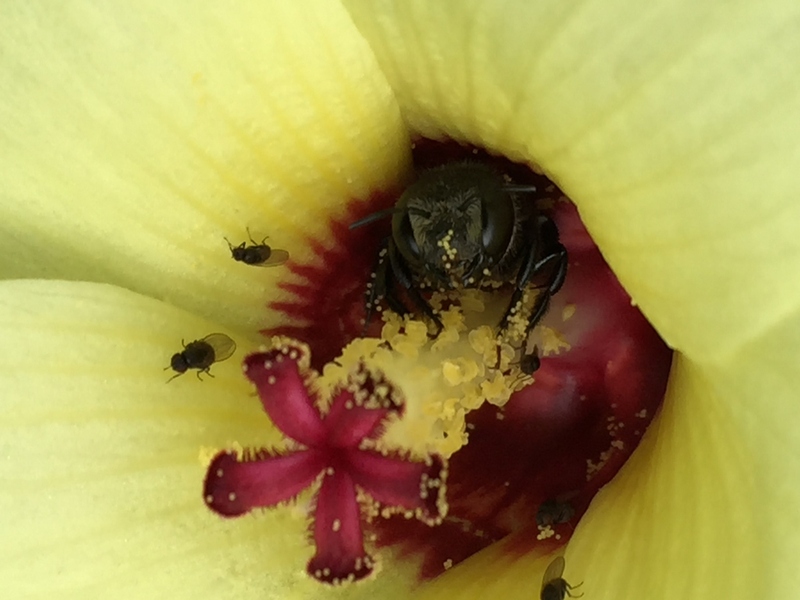 Their Day of Herbal Exploration was a chance for me not only to explore our local Northbank Community Garden but also to indulge in my current obsession of seeking out bee attracting plants. The weed revelation was an unexpected bonus. The first part of the morning was a little heavy going as we delved into the Glossary of Therapeutic Terms. More than once, my heathen brain wandered to thoughts of double-shot flat whites. But I soldiered on, fortified by herbal teas and deliciously healthy protein balls made by Laura. Soon enough we escaped our outdoor classroom for a quick course on Botany, followed by an exploration of the community garden, beneficial weed identification and a final discussion of 10 or so easily grown beneficial herbs. My favourite photo of the day is of this Native Rosella, a species of hibiscus that is endemic to New South Wales. I didn’t realise until later that it was packed with bees, so of course it has gone straight on to my plant wish list. Previous I’ve given up veggies !